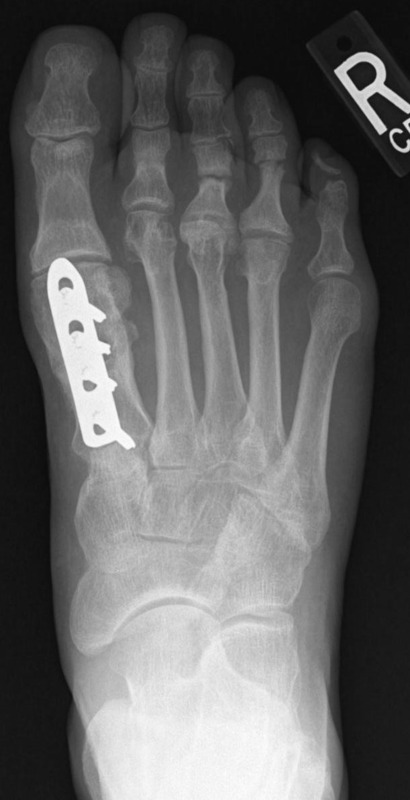 This 54 year old man was referred in 6 years after a severe injury to his right foot and 3 surgeries at outside facilities by other physicians. At the time of referral, the bone in his foot was not healed and the most recent plate had broken. The patient was having significant pain and could only walk using a cane or crutches. These images taken after plate and screw stabilization show that the bone is solidly healed. The patient has no pain and can walk unlimited distances without any assistive devices.